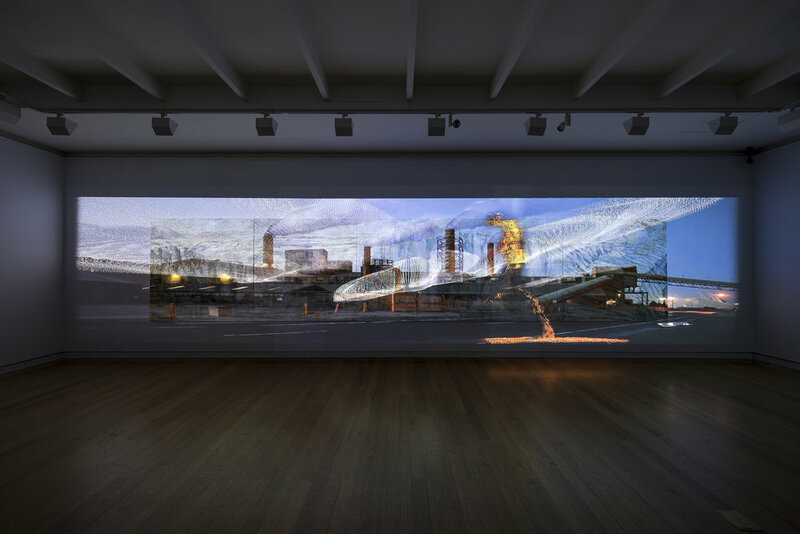 Luminous Relic presents a major collaborative painting and moving image work by Mandy Martin and Alexander Boynes, with a score by Tristen Parr. Based on fieldwork around industrial Geelong, this urgent politically charged work examines the ongoing and cumulative effects of industry on landscapes, fragile ecosystems and human conditions. 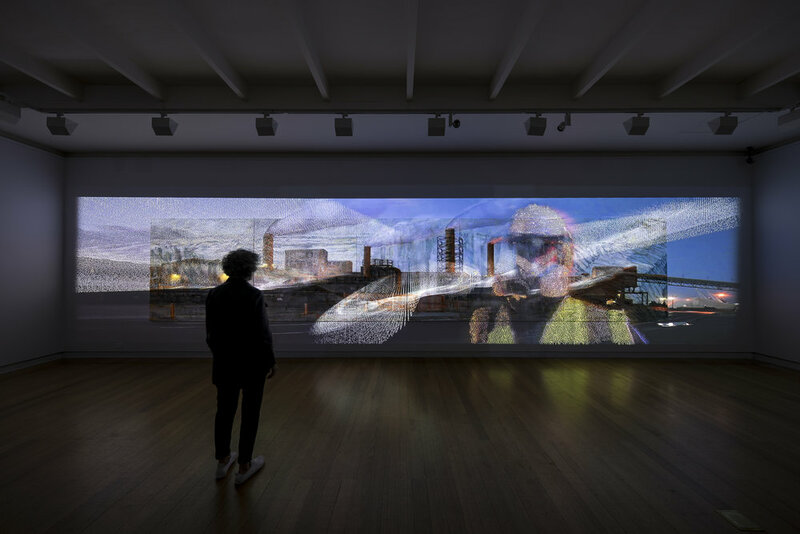 A sense of intimate connection between industry, carbon emissions, the end of the fossil fuel era, and a lurid dawn heralding freak winds and, far across the ocean, a collapsing ice shelf, underlie the artistic response from each artist. Mandy Martin paints the body of the Geelong industrial complex into an ice shelf. 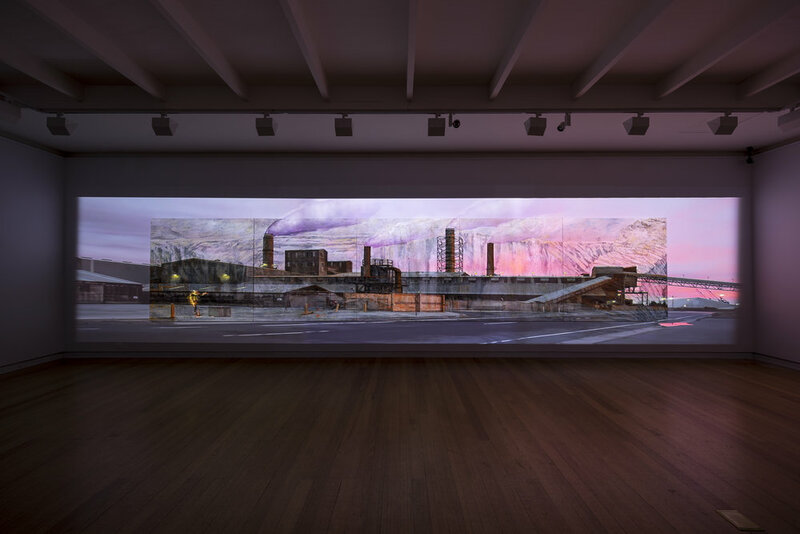 Her high key reflective surface allows time-lapse moving images of industrial Geelong by Alexander Boynes to play with the element of time in what appears to be a static moment. Tristen Parr’s score adds pathos and gravitas to the contemplative space and sublime proposition of Luminous Relic. Luminous Relic was part of CLIMARTE’s ART+CLIMATE=CHANGE 2017—a festival of exhibitions and events harnessing the creative power of the Arts to inform, engage and inspire action on climate change.